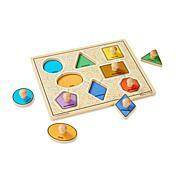 Counting fun begins with this extra thick wooden puzzle that includes 20 easy-grasp, chunky pieces (1-20). 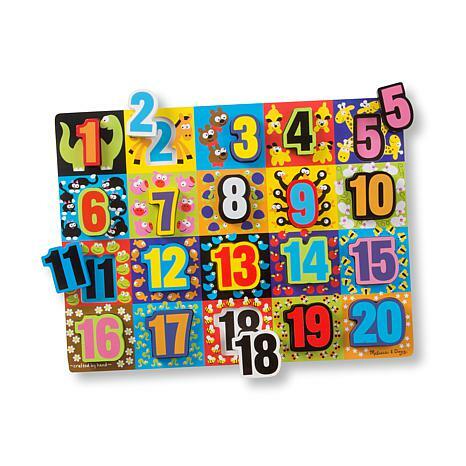 A full-color, matching number appears under each piece, and counting pictures equal to each numbered piece are shown on the puzzle board. Number pieces stand up. 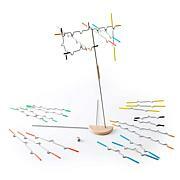 Encourages eye-hand, fine motor and early math skills. 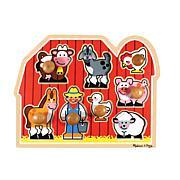 I enjoy these as much as my 17 month great grand daughter.